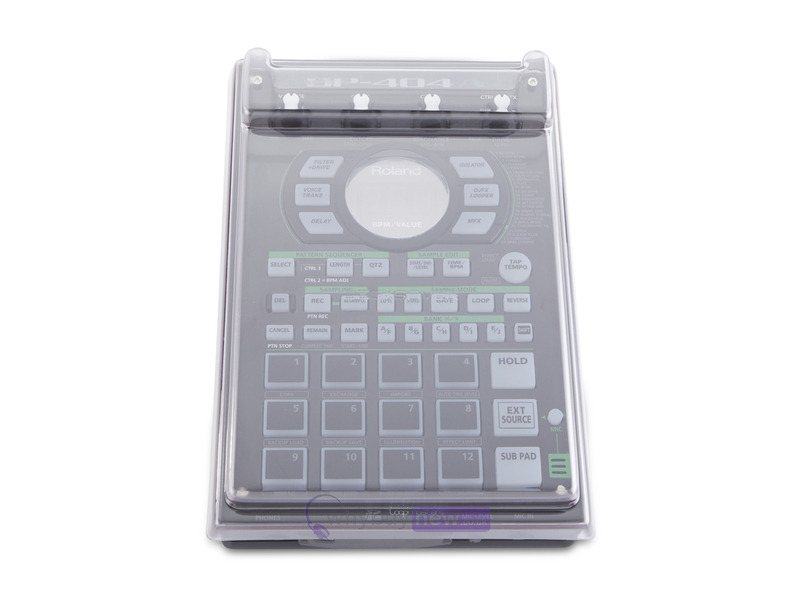 The Decksaver Roland SP-404 Cover is a hard dust cover custom designed for the Roland SP-404, SP-404A and SP-404SX samplers. 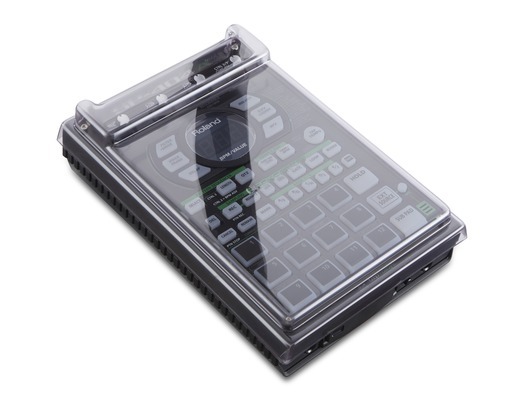 Trimmed to fit perfectly with room to accommodate cables, the ultra durable polycarbonate shell will protect your sampler's controls and components from dust, smoke or liquid damage, be it at home, during transit or at a venue. Additionally, its smoked/clear finish looks professional and the sleek design allows it to slide effortlessly in to a flight or soft case - ideal for transport. 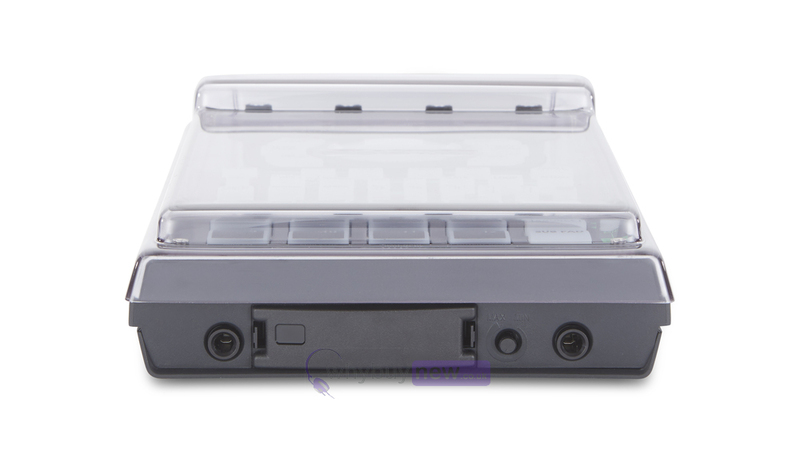 Fits SP-404, SP-404A & SP-404SX. The tools we use to compose and produce music are dear to our hearts. The studio elements of dust, smoke and liquid have taken many a good sampler down over the years. This is where Decksaver steps in. 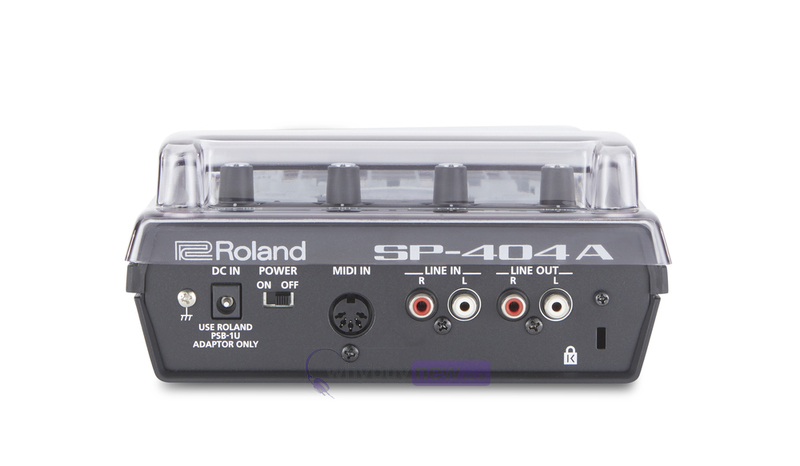 Precision trimmed for perfect fit whilst accommodating cables, the SP-404 can sit ready for operation. Slides straight into a flight or soft case for maximum protection during transportation. Shields delicate controls and internal components from damage at home, on the road and on stage.